We offer Paper Mill Cores to our esteemed clients. 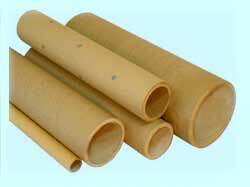 The Paper Mill Cores are commonly used in paper mills for winding the paper. We offer Fiber Paper Mill Cores, which efficiently meet the paper industryâ��s diverse requirements. We ensure complete customer satisfaction by ensuring high quality and consistency to meet specific requirements.